A New HPDE Series Is Coming To The East Coast! Pocono Raceway - East Course. Only 3 run groups with a driver cap of 20 per group. Giving you a ton of seat time. 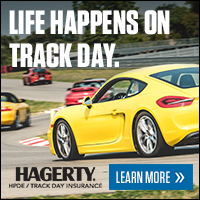 Interested in being an HPDE instructor? Please contact us directly for more information - Instructors will receive a ticket discount. Check our website for details. When: April 13th starting at 7am. There will be three 20 car sessions separated by driver skill. There will be instructors on site working with beginner and intermediate drivers. If you are interested in joining our instruction team please reach out to us! 6 - 20 minute sessions per group, per day. The East Course is a 1.2 mile road course with 11 turns and 3 straights. The course varies in width from 45-60 feet. Also incorporated into this course is a 275 foot pit road. This event will be capped at 60 drivers - 20 drivers in each skill level. Driver Groups: HPDE will be split into three groups. New to HPDE drivers will start in this group. There will be experienced instructors on-site that will sit with you and teach you the in's and out's of HPDE including line, speed, how to approach a turn, what gear you should be in, proper way to brake, etc. Passing is very limited in the beginner sessions. Drivers in the intermediate group will drive without instructors. Passing is limited and should be done in the specified zones and "point by's" in this group are required. It is the passing driver's responsibility to make sure all passes are executed in a safe and controlled manner. This class is for the most experienced HPDE drivers. There are no passing restrictions, however, passing still needs to be approached with extreme caution and proper track etiquette - "point by's" are Highly Encouraged. It is the passing driver's responsibility to make sure all passes are executed in a safe and controlled manner. This event is not a race - leave a clear passing lane and do not force a pass to be made late. This is the highest level of driving in HPDE offered by Stacked and all drivers should be highly experienced and have a great knowledge of high performance driving. All event times will be sent to event participants the week of the event. Anticipate a 7 A.M. load in time, 9 A.M. go live time and a 6 P.M. end time.